Perhaps the most iconic timepiece in the world –– and no, not the kind you wear on your wrist –– is London’s Big Ben. 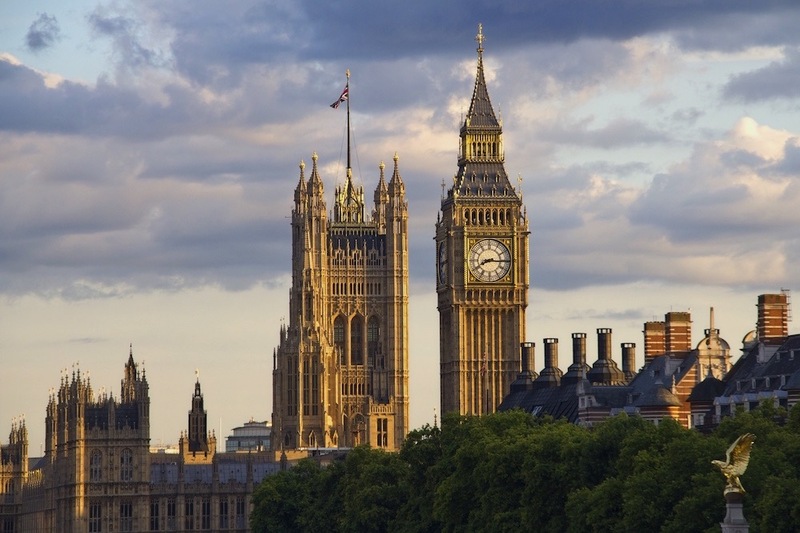 Located inside a clock tower by the Houses of Parliament, Big Ben is commonly considered the entire clock and tower. But the true Big Ben is actually the melodic bell that chimes every hour on the hour. And he’s quite the musician –– the musical note that Ben makes is in the note of E. In addition to Big Ben, there are four smaller bells beneath, that ring on the quarter hour and strike the notes of G sharp, F sharp, E and B. The eleven story tall Clock Tower was renamed the Elizabeth Tower in 2012, in honor of Queen Elizabeth. Built in 1859, the 13.7-ton Big Ben has been chiming for more than 150 years –– until just recently, that is. Ben has been silenced, paused actually, for conservation work which will last four years. Stay tuned for 2021 when the rarely seen but frequently heard Big Ben will resume chiming.